If you have a patient with hearing loss that would benefit from Hamilton® CapTel®, it’s never been easier to order a no-cost1 Hamilton CapTel Phone. If you have any questions, please call 877-455-4227 or send e-mail to order@hamiltoncaptel.com. Or provide your patient with a pre-printed form. 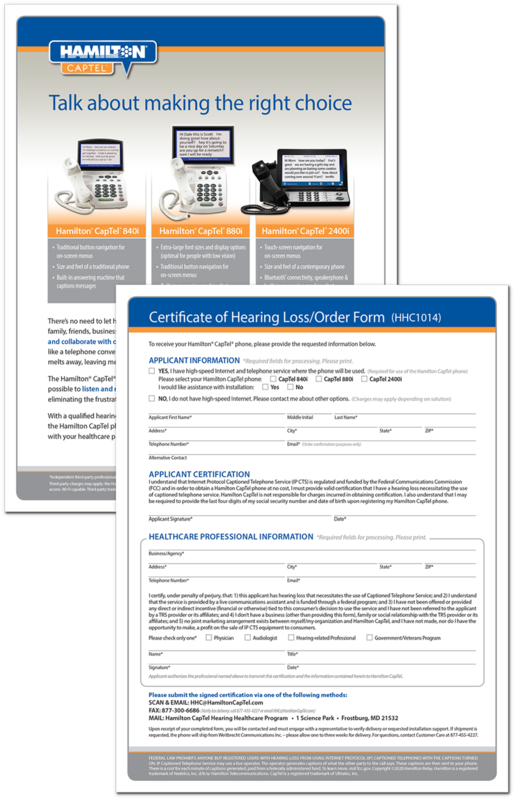 If you’d like to order pre-printed forms, please call 877-455-4227.